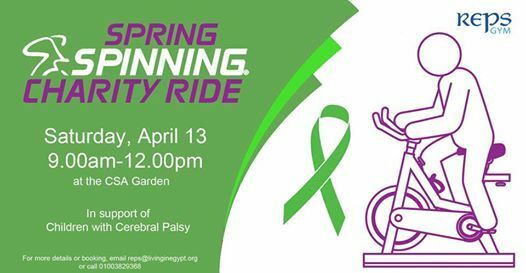 Part of CSA Fit Fest, join us on Saturday, April 13 for a Spring Spinning® Charity Ride in support of Children with Cerebral Palsy by MOVE Foundation. 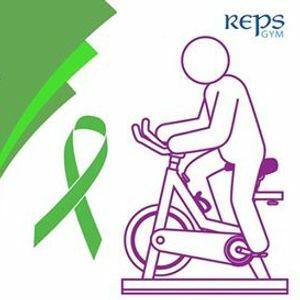 The event will feature a 2 hours Spin® ride organized by REPS Gym at the CSA Garden (Villa 4, Road 21, Maadi) from 9.00am to 12.00pm. All fitness levels are welcome. No experience required. Reserve your bike for 1 or 2 hours time slots and get a chance to win exciting raffle prizes!